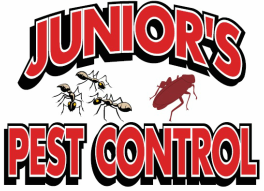 At Junior's pest Control, we pride ourselves on our experience in the industry. Providing the best services for real estate agents, home buyers and sellers. Before making that important investment on a new home, be sure to get that all important wood infestation inspection. We inspect for five wood destroying organisms. Subterranean temites, powder pest beetles, wood boring beetles, dry wood termites and wood decaying fungus. Should termite activity or termite damage be found, new or old, we will report the findings and provide recommendations to treat the structure for termites.